To be timed by Michael Franke with C-Mac. One water stop on 5k course. Food and refreshments after the race. 8:45 AM: 5K Awards Presentation at the Winner's Podium. Prize winners will be announced after awards, and must be present. Race day registration will be available for the 5K: $35 with a shirt, $25 without a shirt. 1 Mile Run is $10 now through race day. Technical moisture wicking race shirt. Additional shirts can be purchased for $15 each. Youth small through 3XL shirts available while supplies last. Top overall male and female. Saturday, July 14, 12 PM to 7 PM at the Ankeny SummerFest site. 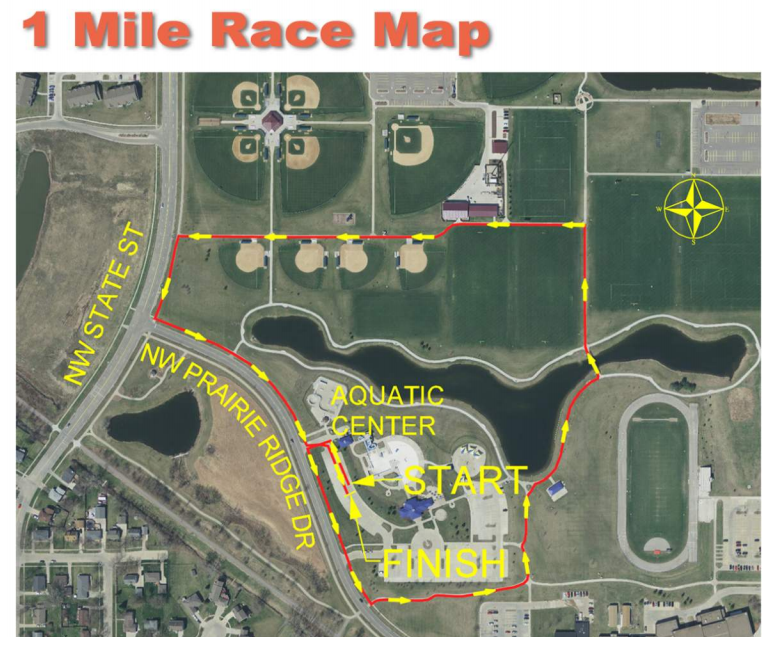 Sunday, July 15, 6:15 AM to 7:15 AM at Prairie Ridge Aquatic Center Parking Lot. 100% of net race proceeds help the Ankeny Optimist Club support the children and families of Ankeny. 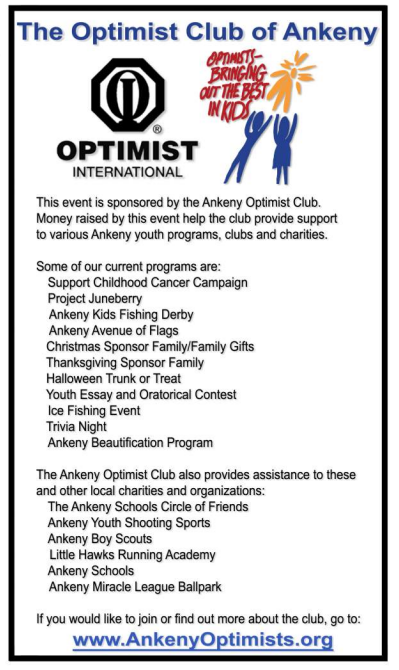 The Ankeny Optimist club has donated a total of $17,700 to Ankeny charities with funds from the race. When this page loaded, the official time was 4:49:04 PM EDT.